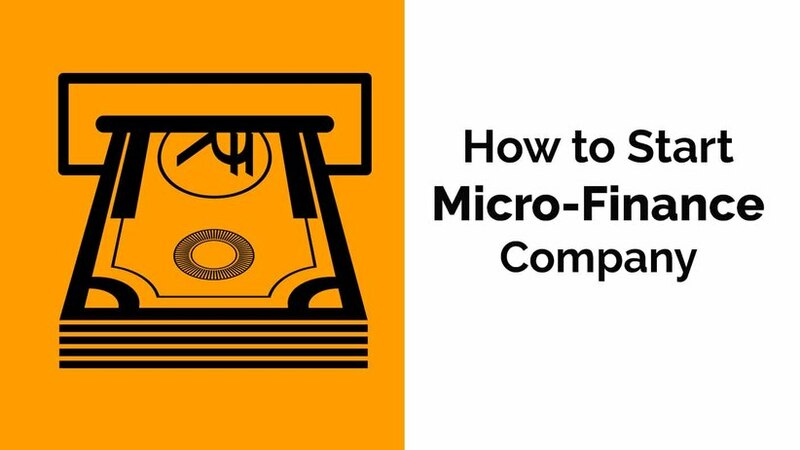 Micro Finance Company is a type of Non-Banking Financial Company (NBFC) which is in a business of micro (small) credit to a special type of borrowers. It is also known as Micro Finance Institution (MFI). A company is said to be in the business of Micro Finance if it holds at least 85% of the Micros in the nature of qualifying Micros. Loan amount should not exceed Rs.50,000 in the first cycle and Rs.100,000 in subsequent cycles. Total indebtedness of the borrower does not exceed Rs.100,000/-. Micro Finance is a very famous type of business in the rural and semi-rural areas. Let us see how we can proceed on to register for Micro Finance company. Important Note : No company other than registered with Reserve Bank of India can do the business of Micro Finance Company. Even the Nidhi Companies are not allowed to do so. This is the first step to register the Micro Finance Company (MFI) in India. It could be a private limited company or a public limited company. Once you have registered a company, then we can proceed for next step. Further, initially, a company could be registered with Rs.1 lakh capital. The next step is to raise the share capital both authorised and Paid up to Two Crores Rupees. This is because to register an NBFC in India, the minimum net worth required is Rs.2 crore. After raising the capital amount, the next step is to deposit the sum of Rs.2 crore in Fixed Deposit and obtain a certificate of no lien from the bank. This shall be attached with the application when filed with the Reserve Bank of India (RBI). Certified copies of an extract of only the main object clause in the MOA relating to the financial business. A copy of Fixed deposit receipt & bankers certificate of lien indicating balances in support of Net Owned Funds (NOF). The next step is to fill the online application for NBFC registration as a Micro Finance Company (AFC). Once the online application is filed, the company gets a Company Application Reference Number. Once the application is filed, a hard copy of the application along with all the necessary documents are to be sent to the regional office of the Reserve Bank of India. The total cost for NBFC registration is around Rs. 8 lakh to 8.5 Lakh, in which Rs. 4 to 4.5 lakh is the professional fees and rest is the government and RBI fees. No, the work under registering an NBFC is far more complex and time-consuming and hence, professional fees of Rs.4 lakh honourable. Just confirm us on the email at Agam@hubco.in or Paras@hubco.in , that you are willing to proceed for NBFC registration, submit the documents and then we can initiate the work immediately. Call us at +9540618336 for further clarification or questions.